Ru is back from New York and Asher is back in the water. Asher brought up the Tracks Magazine article about Taj Burrow sitting out of the European leg of the WLS tour this year, Dane Reynolds being given the Wild Card slot for the J-Bay event and the injury list for that event. Harry then mentioned Trace signing Jordy Smith, and Ru brought up the new GoPro. The last thing we talked about was the ISA Adaptive Surfing Championships which are taking place in San Diego in September, which lead Ru to mention Mike Coots who you can watch below. Harry gave us a talk about the tides, and the the Wikipedia page can fill in any details on the basics. 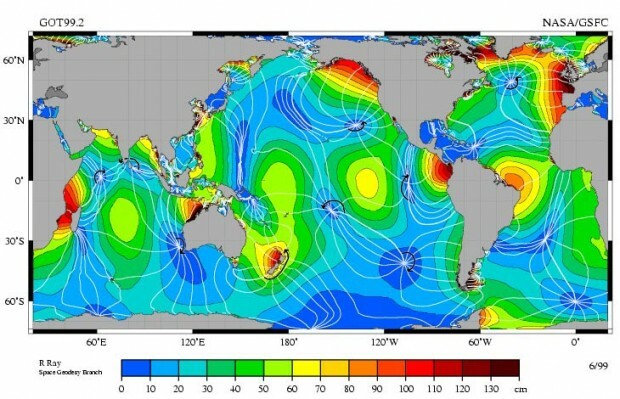 One thing that came up early on was the existence of Amphidromic Points in the middle of the ocean, and below is a map of where those points are. Dark blue shows no tide, dark red shows big tides. We then went into more details about measuring the tide, and we briefly mentioned the French Coefficient system of measurement, before then going on to talk about Chart Datum the Rule of twelfths which you can see visually below. Range of Tide ÷ 12 = Size of each Twelfth. There is also a really neat online calculator for the Rule of Twelfths. For more details on some of the techniques used to navigate the tide in a super yacht, as well as some more details on the Rule of Twelfths, check out this PDF taken from a Yachting Monthly magazine. 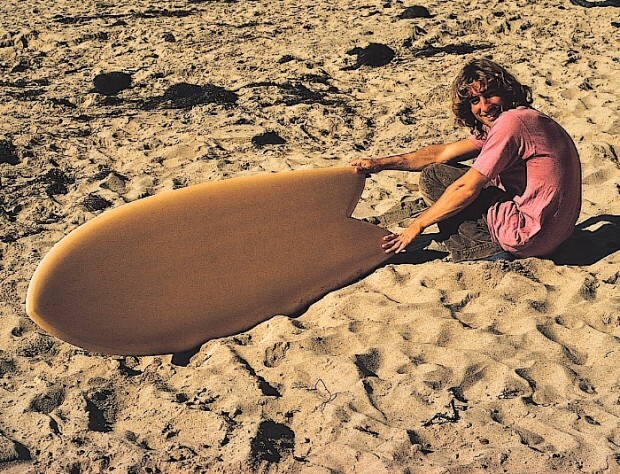 Asher talked us through the life and times of San Diego kneeboarder Steve Lis, who was the original inventor of the Fish style of surfboard. You can read more about Steve on the Encyclopedia of Surfing, and you can see a good breakdown of the Deep Swallow Fish in this Surfline Article. Steve still shapes surfboards under his own label in San Diego and Hawaii. You can follow these links to watch Justin Holland’s Cow Bombie session as well as this great clip from Felicity Palmateer . Last thing to keep an eye on is the J-Bay Open that will be running all this week.